The warm, comforting air of the neighboring sea embraced the bride on her wedding day. 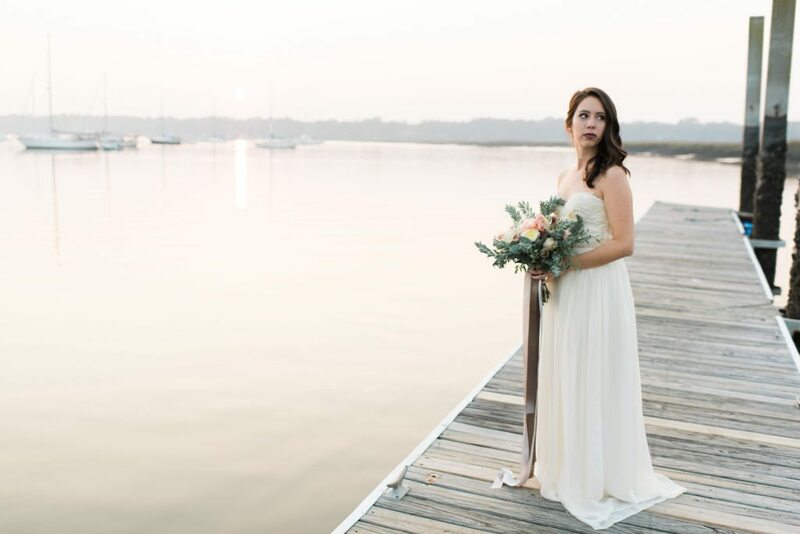 Her dreamy wedding dress was quite at home in this ethereal coastal setting. Light and sweet, the bride’s graceful gown matched her gentle and kind spirit. The delicate lace in a modern silhouette demonstrated the romantic and eager love shared by the couple. As the bride wandered around the opulent Anchorage 1770, the movement of her dress was captured in the warm sea breeze. Her deep blush, velvet heels helped complete her classic look. The perfect marriage of the pastels and deep plum flowers in her floral arrangement held together by the strong, slate, floor-length ribbons were wonderfully symbolic of the couples love for one another: sweet and absolute. 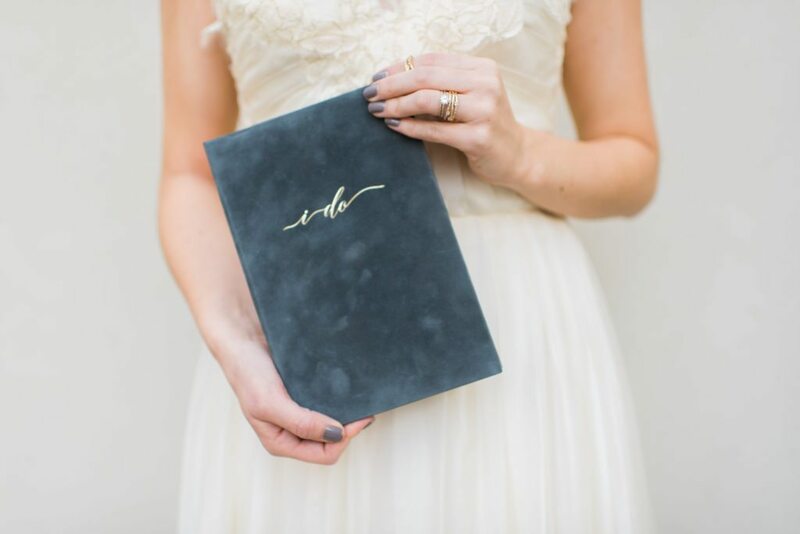 The bride and groom’s wedding vows are safely housed in elegant Wedding Story Writer vow books, each differing in style yet cohesively coupled. 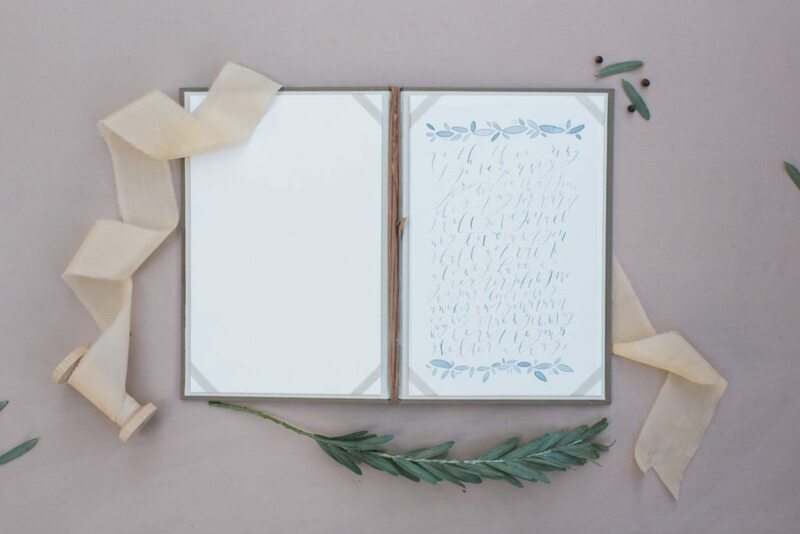 The whimsy of the antique calligraphy of their invitation suite well-prepared guests for their idyllic reception. The perfectly set tables held white linen tablecloths, tall candlesticks, and an Arcadian vase overflowing with a soft, light bouquet. The bride strolled barefoot for a moment alone on the docks to read her beloved’s final words as a single man. The boats in the harbor, eagerly awaiting voyage, were a lovely reminder of her own impending adventure. The bride strolled back under the Spanish moss to be united forever with her husband.